In the past few years, flamboyant former pro basketball player and loyal American Dennis Rodman has made several trips to North Korea to meet his admirer, Kim Jong Un, that nation’s young supreme dictator-in-chief. Since the U.S. of A. and the Democratic People’s Republic of Korea aren’t exactly drinking buddies, it was, to say the least, perplexing that Rodman would go there and actually become drinking buddies with that more infamous, other Lil’ Kim. But as anyone who has followed Rodman’s career knows, Rodman (usually) does what Rodman wants, be it wear high heels to a bar mitzvah — or visit despots. I remember joking with co-workers that it was all an elaborate ruse concocted by our government so that Rodman could get close enough to Kim to strangle him, thus getting rid of a dangerous world-class thug while redeeming his reputation to his nation that looked askance at him. At best, it was a semi-amusing thought and, sad to say, something Rodman didn’t carry out. Now, of course, we have a movie opening Christmas Day that uses that basic conceit for a plot. It’s titled “The Interview,” and it stars James Franco and Seth Rogen as journalists who land an interview with North Korea’s leader and are then recruited by the CIA to “take him out.” This is, incidentally, a comedy. Kim, along with his late father, is known to be a big fan of Hollywood movies, however, and no doubt Kim the younger didn’t find humor in a movie premised on his assassination. North Korea said “The Interview’s” release would be an “act of war” and that the U.S. would face “merciless” retaliation. Was it bluster as usual from the land of the starving masses led by the pudgy potentate? Hmm. Well, around Thanksgiving it was revealed that Sony Pictures Entertainment, which produced and distributes “The Interview,” was cyberhacked in a most spectacular way by a group calling itself Guardians of Peace. Some observers believe them to be North Korean in origin, while others believe the North Korean angle is an opportunistic smokescreen for another cyberhacking group. Regardless, Sony Pictures was embarrassed quite publicly due to stolen emails, later revealed on the Web. Also, some five unreleased motion pictures were put on bit-torrent sites for free downloading. It was for Sony Pictures a costly event, both monetarily and from a P.R. standpoint. The latest fallout, incidentally, is that some theaters have canceled scheduled showing of “The Interview,” with Sony opting to not enforce any contractual obligations to run the movie. 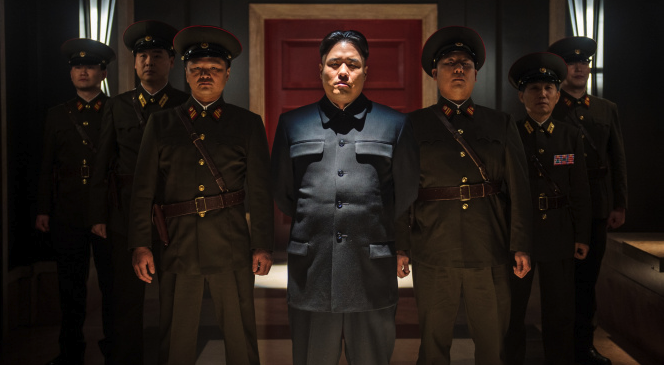 Starring with Rogen and Franco is Randall Park as Kim Jong Un. 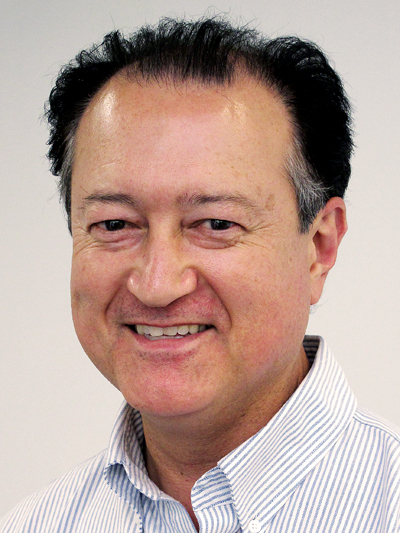 In an interview that appeared in Tuesday’s Los Angeles Times (http://tinyurl.com/m2ypmq4), Park admitted that early on he had some reservations about the role but eventually embraced it. Meantime, another big Christmas Day release is Universal Pictures’ “Unbroken,” directed by Angelina Jolie. It’s a biopic about Louis Zamperini, the Torrance local who as a U.S. Army Air Force bombardier survived a plane crash in WWII, only to be “rescued” by Japanese soldiers who put him into a prisoner-of-war camp. While I’ve not seen “Unbroken” (or “The Interview,” for that matter), I understand a big portion of the movie depicts Zamperini enduring torturous treatment at the hands of Japanese soldier named Watanabe Mutsuhiro, nicknamed “The Bird” by the POWs. 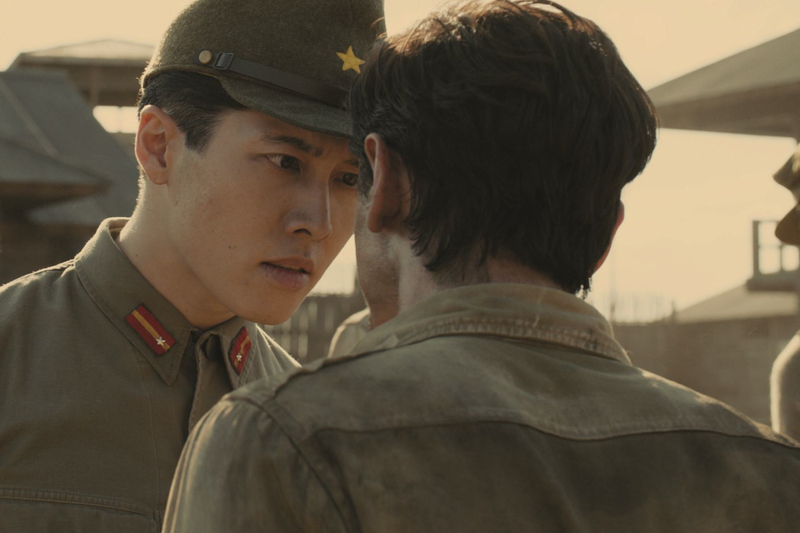 Miyavi, like Park, also had reservations about playing his bad guy; although part of it was because he was relatively inexperienced as an actor, he also was troubled by acting out the deeds attributed to Watanabe. Now, you may be wondering what are you’re options if you’re really intent on seeing either “The Interview” or “Unbroken.” According to news reports, “The Interview’s” Dec. 25 release has been canceled indefinitely. That leaves “Unbroken” in the Asian bad guy movie menu. I’m sure it’s a movie worth watching. But what if you’re looking for a movie to see where an Asian male is the hero? Well, if you can still find it in theaters, how about “Big Hero 6”? The protagonist’s name even fits: Hiro.